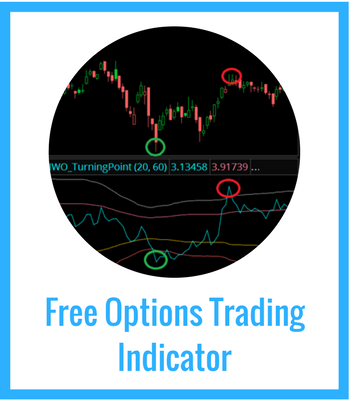 Are you tired of losing money in the options market? Are you fed up with seeing your gains disappear in just a few hours? Are you confused at what the best option strategy is? I have two words for you: Don’t Panic. These feelings are completely normal for anyone to go through. The definition of insanity is doing the same thing over and over expecting different results. It’s also the definition of a losing trader. Read on to see the 4 biggest problems you must overcome so you can be on your way to aggressively building wealth in the options market. Most stock analysis cares about whether the stock is going up or down. But that’s only one part of the equation. You have to find stocks that are ready to move. Stock market participants can only agree on price for so long. If a stock stays rangebound enough, then it will be ready to move. One of the best ways to find these stocks is to use Bollinger Band analysis. It’s not just about finding stocks that are in uptrends or downtrends. To get the explosive, profitable movement that will drastically build your wealth, you need to include volatility filters in your stock scans. It seems that every option “guru” out there focuses on one strategy and one strategy alone. Maybe they like to buy calls, using leverage for outsized gains. Or maybe they like put sales, for consistency and higher odds trades. But if you follow these “gurus,” you’ll find that these setups work only some of the time. And you’re left with a smaller account and plenty of questions. But here’s the dirty little secret. There is no “catch-all” option strategy. In fact, it depends on the setup. Basically, if you search for stocks that are about to make their move, you want to choose option buying strategies. 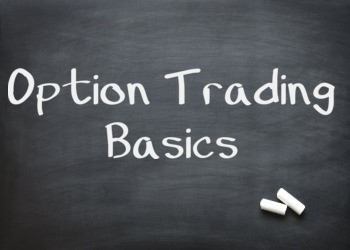 And if a stock has already made a move, you want to choose option selling strategies. Have you ever been in a trade with a nice profit, only to see it go against you and turn into a loss? Or maybe you bought calls, seeing the stock rise, but you didn’t see the profits come into your account like you thought? This is normal, and will happen a lot in your trading career. But many times (most times) this can be prevented. There are other risks in the options market— these are known as the option greeks. And they are super important. In fact, they are more important than where the underlying stock is trading. If you enter into an option trade, you must have an exit strategy. Rolling your position to new contracts to reduce your risk and take profits. If you develop a trading plan that aggressively manages your position using the greeks, you’ll be more advanced than 95% of all the other option traders out there. I’ve become well known for my trading expertise and advice. I have run a trading service for over 5 years, working with hundreds of students to acheive their financial dreams. I’ve been featured in the Wall Street Journal, MarketWatch, CNBC and Fox Business. And my market calls and trade ideas have been consistently profitable through a market crash and a ripper of a bull market. Is it because I graduated from a prestigious university? No, because I didn’t. Is it because I took some advanced training from a hedge fund mentor? No, because I trade on my own. Is it because I am some sort of math whiz? No, but I am pretty good at puzzles. My “tuition” for learning how to fix these problems lies in the fact that I wanted to get higher and faster returns for my account and I wasn’t satisfied with the “textbook” explanations. So I drilled down into my trading journal, and I looked for what worked, and what didn’t. I developed the stock screeners to find the best stocks. I figured out the best strategy for each setup. 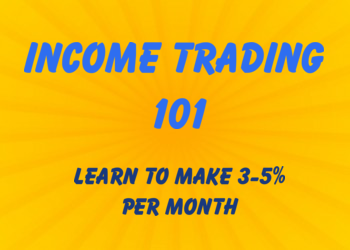 And I created systematic exit plans that helped me take profits smartly when I had them. What I found is that all of my best trades could be condensed into 7 distinct “kinds” of trade setups. The setups that I use week in, week out to give me a distinct edge in the options market.